Sri Sri University was founded by Sri Sri Ravi Shankar in the year 2009 as a world class education in India. Sri Sri College of Ayurvedic Science & Research Hospital Bangalore is affiliated to Rajiv Gandhi University of Health Sciences. The unique education blends the western innovation of the students with the ancient values. It offers value based courses which seek to preserve the wisdom of east through yoga, naturopathy, governance and architecture. The Art of living program is an integral part of the curriculum in the university. This program provides advanced tools and machines for the purpose of this program. It has become a multi-disciplinary educational institution hosting over 7500 students. It is located on 185 acre campus situated between Bhubaneswar and Cuttack. 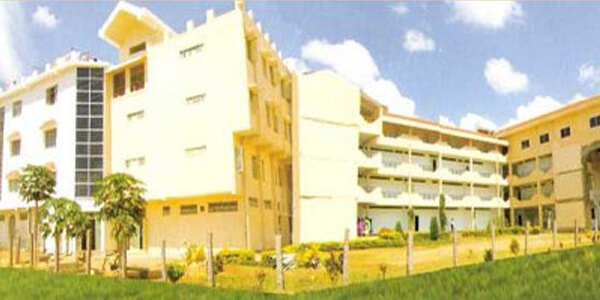 The campus includes admin block, academic block, well equipped computer lab, updated library, seminar halls, and hostels. The professional course (B.A.M.S. degree) offered, extends for a period of 4 ½ years comprising of three phases, of eighteen months each. In addition to this, there is compulsory internship training for a period of one year. After the completion of the course, the students will be awarded Ayurveda Acharya, Bachelor of Ayurvedic Medicine and Surgery degree (B.A.M.S. ), provided he/she has satisfactorily completed the one year compulsory internship also. Students must have passed the two year PUC examination of the PU Examination Board, Bangalore or any other examination recognized as equivalent therein with English as one of the languages and Physics, Chemistry and Biology subjects, with aggregate of 50% marks in the relevant science subjects. Duration of the course: 4 ½ year + 1 year internship.